The field surveys and research being complete, Wordwell is now pleased to publish the first volume in this new series, Leinster, which follows the style of the Ulster volume. 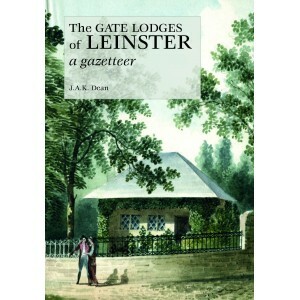 There are descriptions of 3,136 gate lodges in the twelve counties and more than 1,500 of them are illustrated. Volumes on Munster and Connacht will follow in 2017. Entries are numbered and listed county by county for ease of reference, with Dublin divided into north and south relative to the River Liffey. Each entry heading gives the NAME of the property with its LOCATION. This heading (or subheading, where there is more than one lodge) is followed by the DATE of the building’s construction, its ARCHITECT and, should there be little or nothing evident on site, its CONDITION. Proposals that remain unexecuted are also indicated. An ILLUSTRATION generally precedes the DESCRIPTION, and REFERENCES complete the entry. The gazetteer is preceded by an extensive essay on the history of the gate lodge in Leinster, and the book is fully indexed.